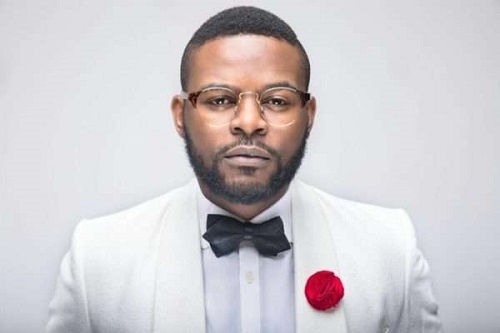 Falz appears to be owing Lagos state government in income tax. Falz is indeed a very bad guy. The rapper, whose real name is Folarin Falana, is not only the son of one Nigeria’s most reputable lawyers, Femi Falana, but is also a lawyer himself which should put him in a position to understand tax and its demands by the law. The musician shared an image of a letter sent by the Lagos State Internal Revenue Service (LIRS) for him to pay his personal income tax. The ‘Child Of The World’ rapper shared the image on his Snapchat page with the caption: "LIRS won’t let someone even start the year well before sending letter, Na WA o." It is not a surprise that the tax man wants a share of the cake from a musician who had a ‘bountiful’ 2017. It was indeed a full year in which he released his third studio album, ‘27’, hosted his very first headline concert, ‘The Falz Experience’, and performed in a number of top events. The LIRS might have begun to take notice of Falz after it was alleged that his ‘Falz Experience’ concert cost N300 million to produce. The comedian, actor, and rapper seems off to an exciting 2018 as he's due to host a show in April in London.